I am still having problems knitting so I have been trying to fill me time in other ways. 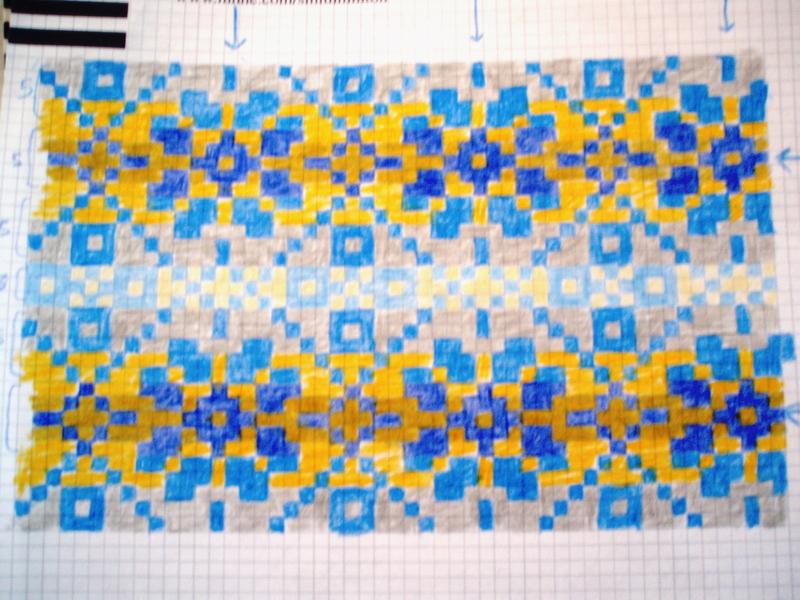 I still have a plan to design and knit my own fair isle sweater, so I have been sketching some design possibilities. Traditional fair isle uses stacked patterns that create horizontal bands. 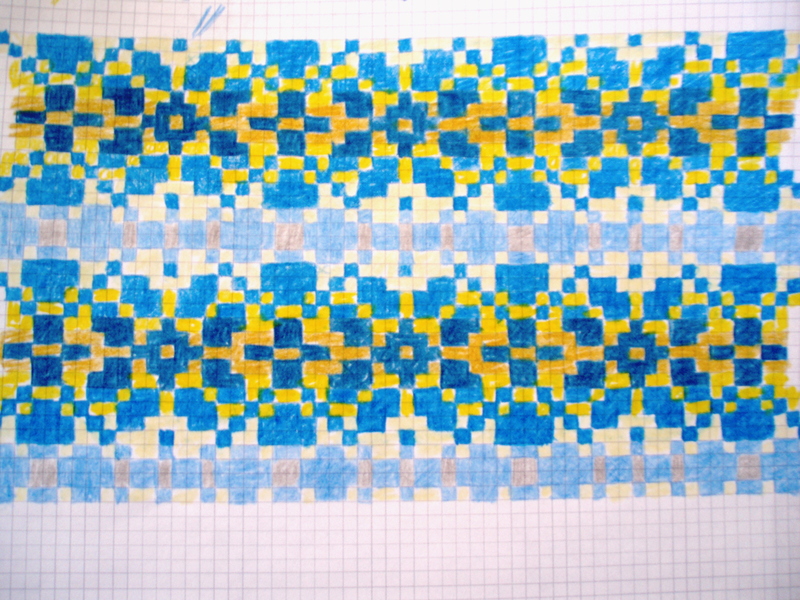 I tend to prefer the tiled look, so that is what I have been drawing. 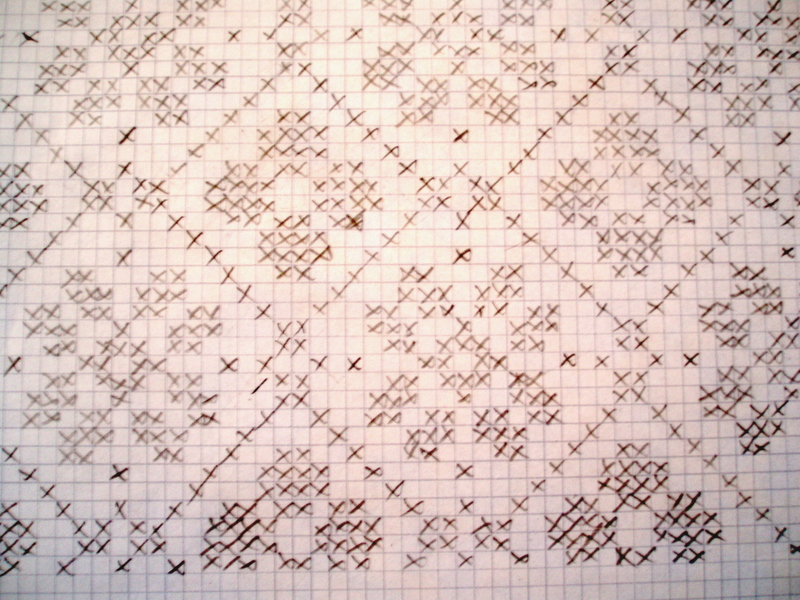 I start with black and white on graph paper. 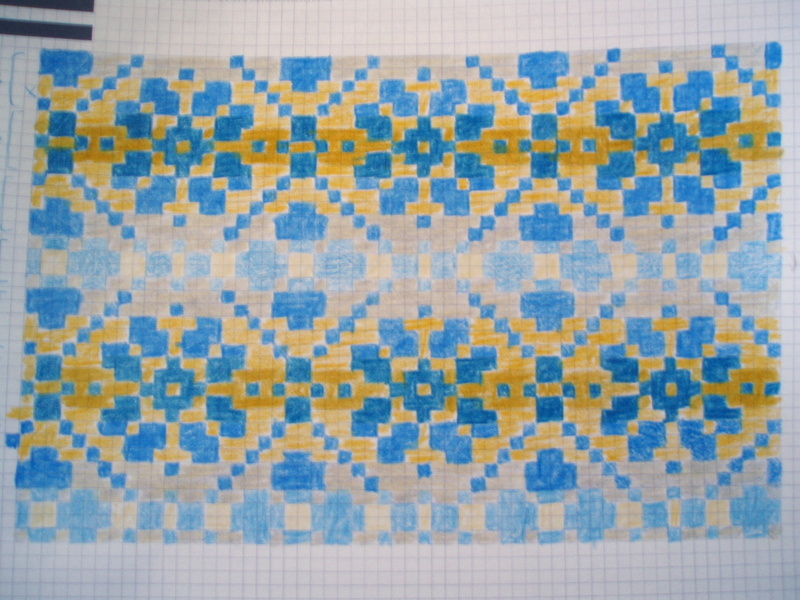 I am intending to use blues for the dark area and yellow/cream/neutrals for the light. So I pulled out my colored pencils and went crazy. The following are very similar in style. Last night I tried something new. I have not been able to color it yet. 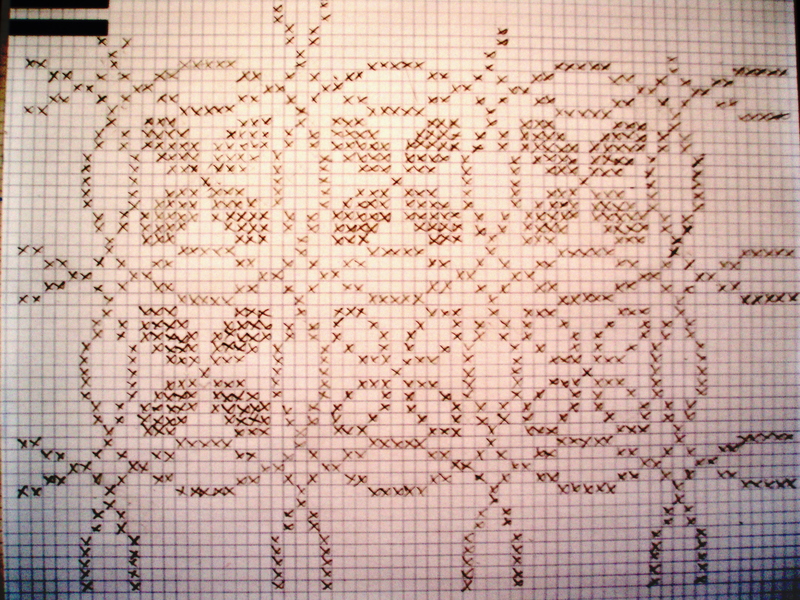 I am getting excited about my fair isle sweater plans. I think I have figured out how I am going to do the sleeves and body, or at least I have a good idea. I am excited to keep sketching. Geometric doodling (you could tell how boring I found a class by how full the margins of my notebook were with doodles) is a specialty of mine so this has been fun. Anyone else read about a recent study that showed doodling can help with memory? An article about the study can be found here. I think boring knitting can work in much the same way. Now all I need is a research grant. I love the third one also and I am TOTALLY STOKED about that last one! It’s really cool! I am getting excited for your project as well! Thanks for the support. I am getting incredibly excited about this project. Choosing a pattern is going to be tough.